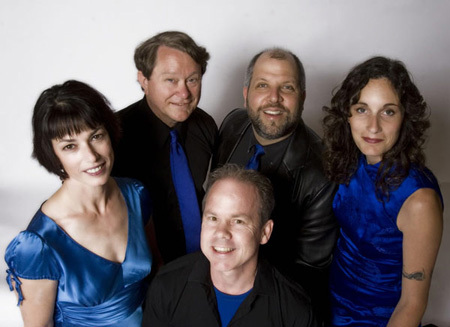 Intimate, witty and intelligent songsters, the award-winning Irrationals, are an a cappella ensemble acclaimed for their rich, complex vocal style. The delicious blending of their voices has been described as "cafe mocha for the ears." Singing together for almost twelve years, this six-member, Berkeley-based group is praised for its harmonic excellence and diverse repertoire. The Irrationals often perform songs about the unpredictable. They are dazzled by the irrationality of love, awed by the intuitive nature of life and intrigued by things that don't make sense. The Irrationals' sound has an African American foundation that is used to explore pop, R&B, jazz, folk and rock. A core blend of three soulful women enhanced by bass, tenor and percussive vocal elements creates an exquisitely layered melodic mix. Whether it's Stevie Wonder with a rap twist, Annie Lennox, Talking Heads, the Neville Brothers or a romantic folk song, the Irrationals are playful, distinctive and sometimes irreverent. Aquanettas are four women whose mission it is to make the world more beautiful. They perform their magic in an establishment called Hair, Thair and Everywhair- the location in which they also enjoy days filled with good humor and singing. The proprietress of this fine establishment is Trixie, the Tress Trainer. In addition to her extraordinary knowledge of hair and fashion, she provides a stable environment for the girls to work and a place that is relaxing and fun-filled for their customers. The group has a guru of sorts called Venus De Stylo. Venus is not only known for her incredible up-dos, but she is also responsible for keeping the girls and the salon’s entire clientele in touch with their inner selves. Not to be outdone, Bou Font, the Aquanettas answer to Marilyn Monroe, uses all her many attributes to their fullest advantage while performing incredible feats with hair spray. The fourth member of the group is the Duchess of Dippity Do. She is simply referred to as the "Duchess" the practical stylist. Imagine in this bunch! She does her best to keep the other three in line. In the beginning of human existence, there was no music. Stories were created, told, and forgotten. BOHICA looked down from their lofty perch in the heavens and were greatly troubled. Ignoring the protestations of the other gods, BOHICA reached to the earth and created music. The other gods were angry, and punished BOHICA, stripping the four-in-one of their divinity and forcing them to walk the earth as mortals. 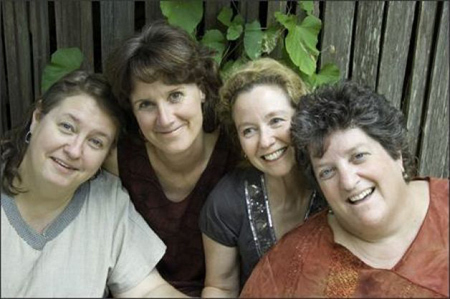 Dilemma is a 5-woman vocal band that challenges the traditional female a cappella sound. Their solid harmonies, impressive bass, vocal percussion and stand-out soloists combine to create a distinctive sound that successfully spans musical styles ranging from blues to ballads, disco to R&B, and swing to pop. Dilemma recently released a self-titled debut album. 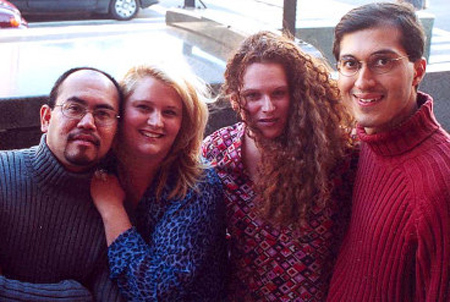 The 13 original and cover tracks on the CD have been well-received by the a cappella community (including a Contemporary A Cappella Recording Award (CARA) nomination for Best Pop/Rock Original Song, "Wishing") and have even converted fans who used to think they didn't like a cappella. Dilemma has performed at cafes, stadiums, fairs, private parties and other venues all around the San Francisco Bay Area since 1998. The spirit of Speedzoo. It is what gives a peaceful and pleasant mind to the human race. All the time, man seeks romance in Speedzoo. We have been working hard and carefully, and work on. To weave the romance and the fancy into each effort. This, at last, we have made up the "Speedzoo Harmony Challenge." If you hear the feeling and the spirit of Speedzoo which values tradition and living in the times, there is no pleasure better than it. Joel Harris, Ken Purchase, Damon McCormick, and Lisa Trevorrow especially, are Speedzoo since two years and best of friends. Join us with harmony. Can you do any less? Music nerds may say there is no such thing as a suspended 6... Well there is now. We are a group comprised of six friends and schoolmates, a soprano who doubles as a pitch pipe, a bass who doubles as a one man Abba, a tenor and three girls who very often feel that they should either be tenors or drum sets. We formed in October 2001 because the voice is the most pure instrument and we love to sing. We have fun making music and we hope you'll enjoy it! Peking and the Mystics was formed in 1973 by four alumni of both Tufts and the Beelzebubs. 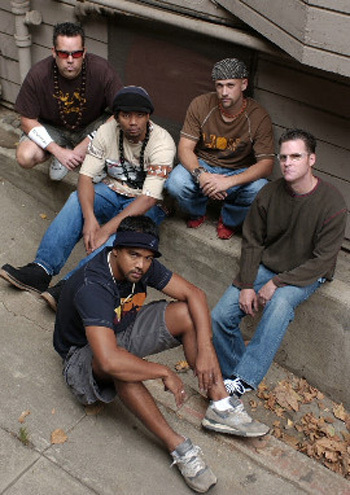 Over the years, PATM has: toured nationally and internationally, including trips to the Far East and South America; recorded a CD (and, with a recent recording session in Petaluma, Calif., now in the books, is well on the road to its second disc); appeared on television and radio programs; and been featured in the local and national print media. The group's eclectic repertoire, comprising original arrangements by PATM members themselves, features swing, jazz, doo-wop, and pop music of every decade from the '20s to the '90s. In December 2001, PATM was proud to participate in the Bubs Foundation-sponsored Generations concert at Tufts, and with its inclusion in Harmony Sweepstakes 2002, is again pleased to assist the Foundation in its mission of supporting music curricula in secondary education. soniCrush is the product of five women and one man who have sung both professionally and leisurely over the past fifteen or more years. Founded in 1996, as HOUSE BLEND, their ultimate goal is to share its love of a cappella music with its audiences, hoping that they have as much fun listening as soniCrush has singing. The soniCrush sound is an equal mix of covers, both old and new, and originals. From opera to jazz to Broadway to funk, the members of soniCrush have sung every kind of music in every kind of venue. Having all enjoyed singing a cappella in college (they are graduates of Boston College, Brown, Dartmouth, MIT & UNH), they have pooled their diverse musical talents and years of experience to produce a strong and versatile band focused on the human voice. 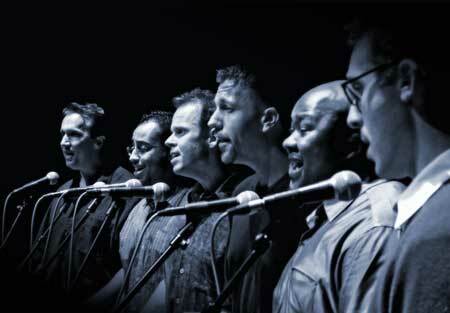 The Works is a five-part a cappella group, three men and two women, founded in 1994. Comprised of former college chorus dropouts trying to resurrect their vocal chords in what some people call middle age, The Works performs an eclectic (trying to live up to the group title) mix of contemporary close harmony, from the B-52s to Gershwin, from Ricki Lee Jones to James Brown. 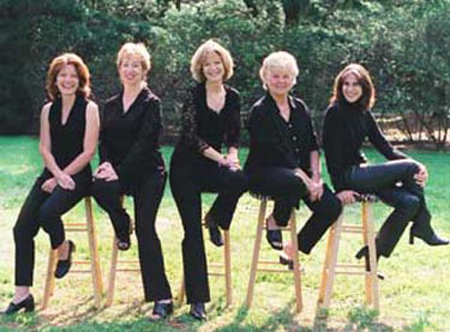 Based in Hyannis, Wenham, Sherborn, Concord and Wellesley, we¹ve performed in a wide variety of settings, from intimate anniversary parties to business meetings with large gatherings of 3,000 people in a room to empty squash courts (unbelievable acoustics). The group is characterized by an absence of conflict in rehearsals, perfect pitch, and a subliminally brilliant marketing approach that swayed the French Harmony Sweepstakes judge to select us for the upcoming competition. When the founders began graduating in 1999 and went on to jobs mostly outside of music, they chose replacements and established SNC as an ongoing group on campus with future generations of ambitious IU undergrads. More than 50 members have passed through the group's ranks so far. Harmony, humor and vocal pyrotechnics. Listen Up! delivers a truly unique approach to Jewish entertainment. Our performances create a special connection families and communities across the US. See our website (link below) for testimonials, videos of our rehearsal and performances, and information about our recordings. Blue Jupiter's all-vocal performance is nothing short of explosive! The world-touring a cappella quartet has been described as "The real deal," by rock legend, Gene Simmons; "Simply terrific" by Scott Conant of Food Network, "Incredible!" by Jane Pauly from NBC; "Nothing short of magic," by the Sands Casino Entertainment Department, and "Simply the best music act we've ever had at our schools," by the Connecticut Public Schools Board. Blue Jupiter's energetic blend of pop lead vocals, jazzy a cappella harmony and funky beatbox has garnered standing ovations in over 40 states and around the world. Dare To Breathe has won acclaim and affection for its innovative and dynamic programs since its debut in May of 1996. Its vast and colorful repertoire spans the globe and eight centuries. Concerts by the group include folk music and popular songs from all over the world, contemporary vocal chamber music, close harmony standards from the ‘30s and ‘40s, Renaissance madrigals, and musical theater, all performed with energy, polish, and good humor. The members of Dare To Breathe all have classical training and experience performing in a wide range of styles and settings. Each brings his or her own unique gifts and musical passions to create the group’s sound and personality. Dare To Breathe has recorded three CDs, premiered many new works, and is the recipient of numerous grants and awards, including a $25,000 Fellowship for Performing Artists last year through the McKnight Foundation and the MacPhail Center for the Arts in Minneapolis. Returning for their fifth and perhaps final time to the Sweeps quintet elmoTHUMM are looking to improve upon their 3rd place finish in 2001. With the release of their first CD in the fall of 2001 entitled elmoTHUMM "LIVE!" the group has plans for a very busy concert schedule in 2002 & are looking forward to seeing their fans out on the road. Hot Vox is a Chicago based acappella group of seven men who collectively have over a hundred years of studio and live performing experience. As individuals they have performed and recorded with such luminaries as Celine Dion, Barbara Streisand, Kenny Rogers, Gladys Knight, Luther Vandross, Dionne Warwick, Ray Charles, Bob Hope, Lee Ann Womack, Bobby McFerrin and Rosemary Clooney, among others. 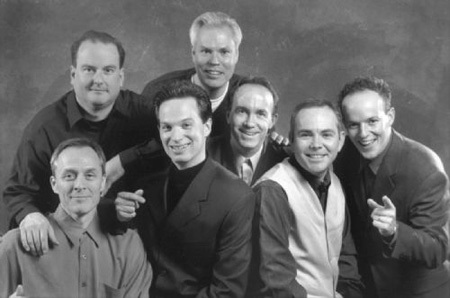 Their acappella and choral credits include performing with and writing for Glad, Voices of Liberty (Epcot), Phil Mattson, Robert Shaw and VoiceTrek (National Harmony Sweeps Finalists 2001). As jingle singers in Chicago, Nashville, Orlando and New York, you have heard their voices on radio and TV commercials representing hundreds of products like McDonald's, Nintendo, Oldsmobile, Kellogg's and Minute Maid. As the group HotVox, their music reflects their love for the soulful sounds of R & B and extended jazz harmonies. A chance to hear them live is sure to be memorable! No Limit the hottest new vocal band out of the midwest, has been captivating audiences everywhere. With soaring, soulful lead voices; tight harmonies; killer percussion; energetic stage presence; exciting choreography; and contemporary, 98 Degrees/*NSYNC looks, NO LIMIT has great audience appeal. Already being featured on regional U.S. radio with its debut single, "All My Love," and having appeared at schools, colleges, fairs, festivals and other public, civic and private/corporate events, the group is currently being considered for its debut in Japan. With a repertoire covering pop hits and original songs, there really *is* NO LIMIT to how far this 5-man vocal band can go! With ten years of musical career, four albums, a Latin Grammy nomination, six CARA nominations and two awards this year 2010 for best religious album and best song of religion, among other numerous awards, combined with thousands of records sold worldwide, the charismatic and cheerful style Undivided continues to conquer hearts in the U.S. and Latin America. 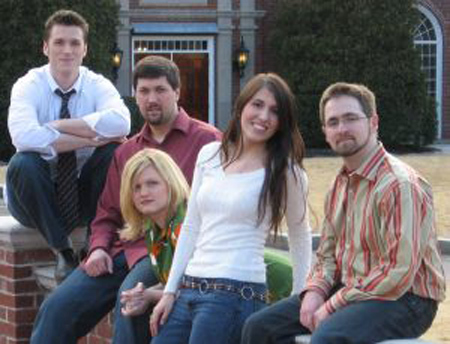 Undivided is a vocal group made up of six young people who play music a cappella style. Breaking the language barrier, playing their songs in Spanish, English and Portuguese. 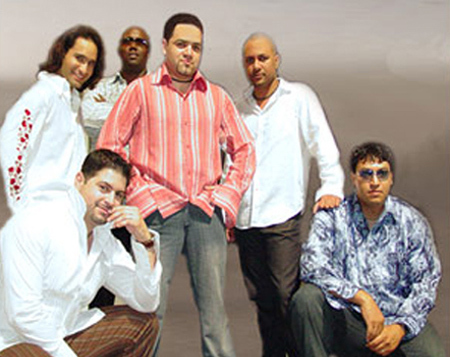 The group enjoys a variety of musical influences such as gospel, R & B, Jazz, Pop, Reggae, Rock, Salsa, Merengue and other Latin fusions are achieved by the skill and facility to play music with their voices. These young people are not satisfied with what they have achieved, but are always looking for innovative and different ways to reinvent his style within the genre a cappella, a feature that allowed you to excel as one of the best vocal groups in the world. These young people have a musical talent that not only captures the ear with modern harmonies and musical arrangements, but they combine their voices with the visual aspect to provide a show without boundaries. 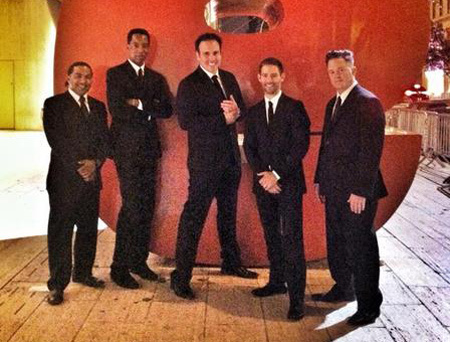 They are an a cappella quartet that performs songs from the Doo-Wop, Jazz and Pop genre. 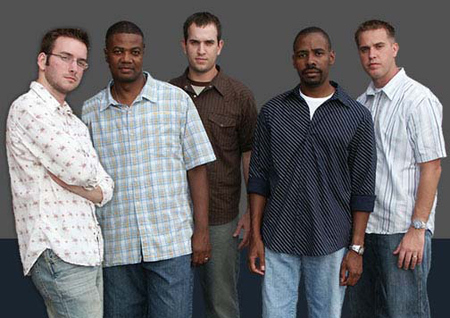 The Accafellas began in 1999 as a small ensemble group at Cal Poly Pomona. They have performed the National Anthem during graduatioon ceremonies for the college of Business Administration and Environmental Design, and for the CCAA Women¹s Basketball Champions at Cal Poly Pomona. When you combine good looks (well, one of us anyway) with good talent (most of us) and a love for a cappella harmony, you get an interesting blend ­ a California Blend. The members of this fine quartet come from three different Barbershop Society chapters and all are interested in a variety of music styles. Grace is a Los Angeles based a cappella group of four women who are not actually named Grace - although their “Grace nicknames” have evolved over time. Lisa (alias “Baby Grace”) is the youngest and newest member of the group, and serves as their chief financial officer. Jeanette (alias “Crazy Grace”), groomed in Germany, provides on-going psychiatric evaluations (for free) as need arises. Paula (alias “Angst Grace”) serves as spiritual advisor and dutifully informs the group when the glass is twice as large as it needs to be. Marta (alias “Sassy Grace”) is their resident expert on feng-shui - despite the fact that, although close, they do not live together. Grace delivers tight harmonies, vibrant energy and an imaginatively reinvented mix of music from the 1920’s to the present. This group of seasoned performers shares a unique brand of blending that demonstrates the voice as an instrument like no other. Based in San Pedro, Zhena Folk Chorus appears in festivals and concerts throughout greater Los Angeles. The group¹s mission is to preserve and present the haunting a cappella music of Eastern Europe as sung by village women and by stage folk singers of Bosnia, Bulgaria, Croatia, Georgia, Macedonia, Russia and Ukraine. Appearances have included the Getty Center, Cal State Long Beach and the Dalai Lama¹s World Festival of Sacred Music. Zhena means woman or wife in Slavic languages. 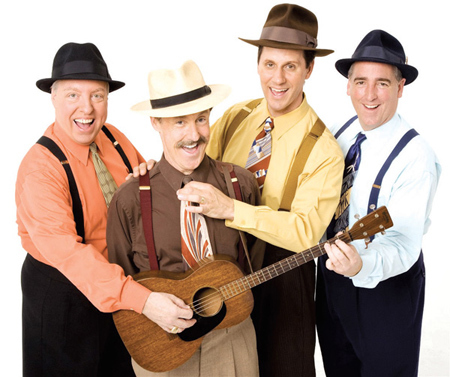 This award-winning Washington D.C.-based vocal group is celebrating their 25th anniversary delighting audiences from coast to coast with its dynamic blend of tight harmonies, inventive arrangements and keen wit. In a few choreographed minutes, the Tone Rangers propel through 900 years of Western music--from Gregorian chant to classic rock to TV theme songs--in a fresh approach to contemporary a cappella music and comedy. 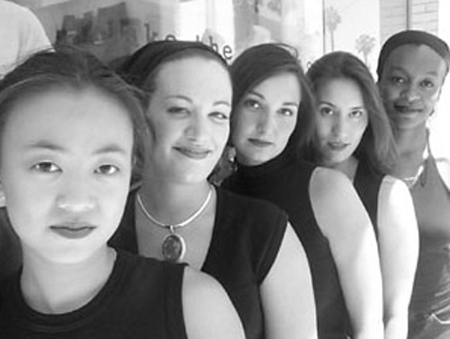 Nominated for seven Wammies by the Washington Area Music Association in the past four years, the Tone Rangers were voted the Best A Cappella Group four consecutive years (2007, 2008, 2009, 2010) and even won Best A Cappella Recording in 2007! 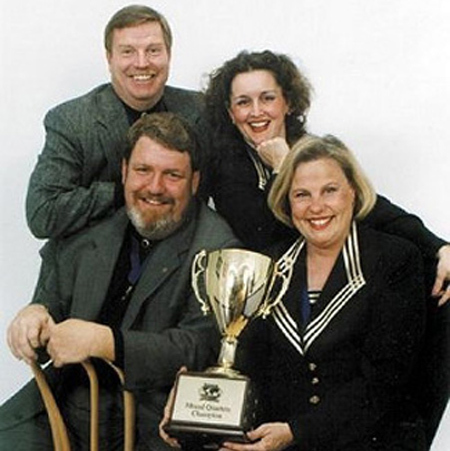 They were also national finalists in the 2002 Harmony Sweepstakes (the Superbowl of a cappella), and three-time winners of Mid-Atlantic "Audience Favorite" and "Best Arrangement" awards. To listen, go our MySpace page. Back in 1993, a group called the OK Chorale was formed at NASA'S Goddard Space Flight Center by Anne Raugh and Steve Leete. The OK Chorale was 12 members strong and sang mostly doo-wop tunes, standards, and classics from Sesame Street. 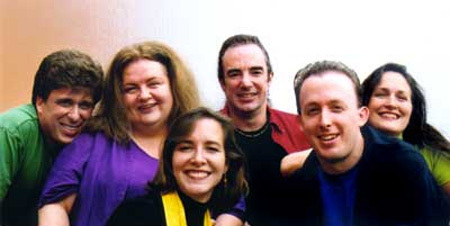 None of the current Chromatics were in the group at its inception, but Padi Boyd and Karen Smale joined in 1993, followed by Alan Smale and Deb Nixon in 1994. After numerous further changes in personnel, including the departure of co-founder Anne Raugh, the group decided to refocus and reinvent itself as The Chromatics. The Chromatics were incorporated in 1995, and have been performing continuously under that name ever since. High Five is an award winning, mixed voice, 5-part, a cappella jazz quintet from the Baltimore-Washington area creating music and fun wherever music lovers can be found. With more than a century of combined musical experience, this full-chord sound and tight harmonies are indicative of their unique style. This, combined with an undisputable jazz influence & champion arranger, makes Janet, Christy, Lori, Joe and Mike the ensemble that is unmistakably High Five. Who are they? They are specialists in bringing their unique blend of creativity, femininity, and sophistication to the a cappella arena. For 10 years, this Orlando-based group has written and produced specialty themed a cappella shows for Walt Disney World and Universal Studios, Florida. Using their vocal talent and theatre experience they have created shows covering various eras from the Wild, Wild West to 1940's Swing and 1950's Do-Wop, all the way to a modern James Bond type spoof of the Spice Girls. They also write and produce jingles for radio. Friends and soul-sisters, these ladies love to use their God-given gifts for song, and they devote their lives to sharing the enjoyment of a cappella harmonies. 4 Girls Only is a perfect example that a cappella isn't just a "boys club"! Glasshouse (Atlanta sub-regional champions) is a seven member contemporary vocal group from Troy State University in Troy, AL. Glasshouse specializes in entertaining not only with an occasional cover tune, but by writing their own original music as well. While competing in a cappella music, Glasshouse has been awarded with titles such as "Best Musicality" and "Best Original Music." The members of Glasshouse range from as far south as Nassau, Bahamas to as far north as Wilmington, DE. 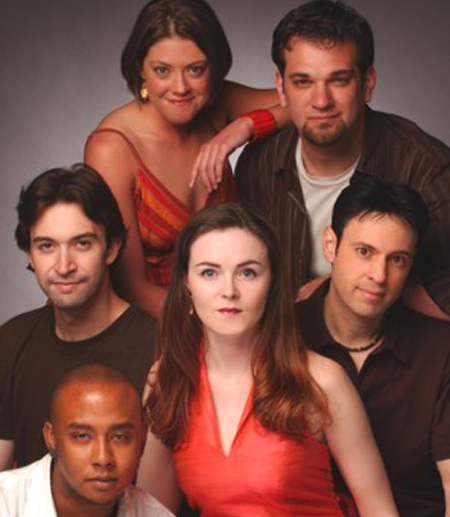 Formed in 1999, The Humbuckers, a vocal rock band from the Washington D.C. area, perform an eclectic mix of modern a cappella originals and covers. 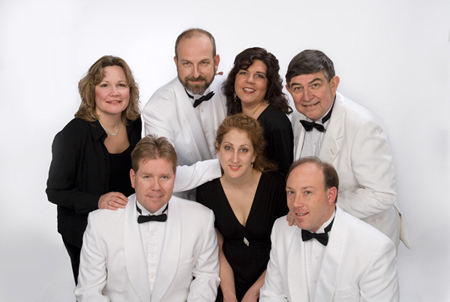 In addition to performing at the 2000 and 2001 Harmony Sweepstakes, the group has performed for events such as Congressional Night at the National Press Club, Vintage Virginia, Taste of Baltimore and the Shenandoah Valley Hot Air Balloon and Wine Festival. Following the tragic events of September 11, The Humbuckers donated all September proceeds from their debut CD, "Never Said Thanks," to the New York Firefighters 9-11 Disaster Relief Fund, raising $800 for the organization. 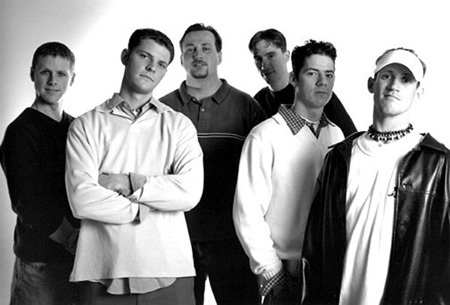 In January 2002, the Recorded A Cappella Review Board selected "Never Said Thanks" as one of its 11 "Picks of 2001." PhilHarmonix is an award winning mixed a cappella quartet that blends the rich harmonies and precision singing of the barbershop style with the classic tunes of yesterday and today. Based in the Philadelphia area, they have performed on local radio stations, as well as community concerts and events, including the Republican National Convention and Jersey Shore attractions. 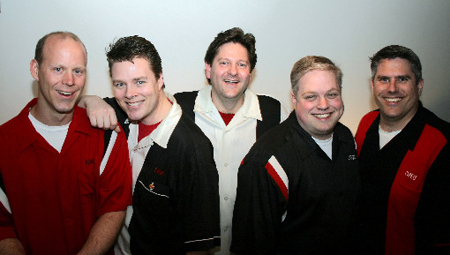 On the national scene, they are top competitors, having won gold medals in both the 1999 Mid-America Barbershop Quartet Expo in St. Louis, Missouri and the 2000 Buckeye Invitational in Columbus, Ohio. In February 2001, they were named runners-up in the New York Regional Harmony Sweepstakes. Known as "Phil" to their friends, these singers can perform melody and harmony with ease, making every song they sing a showcase for their unique ability and versatility. They recently released their first CD, entitled "Lazy Day," which includes "This Little Piggy Went to Market," a 2002 Contemporary A Cappella Recording Award (CARA) nominee for Best Barbershop Song. Founded in 1998, the Duwende (doo-WEN-day) performs all-vocal funk/rock originals and covers in New York City clubs as well as universities, music showcases, festivals and charity events along the East Coast. 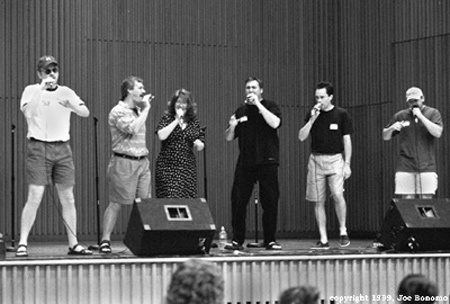 The six-member, co-ed band was voted Audience Favorite at the 2001 Boston Harmony Sweeps. The Fonic is a five-man vocal band based in New York City. 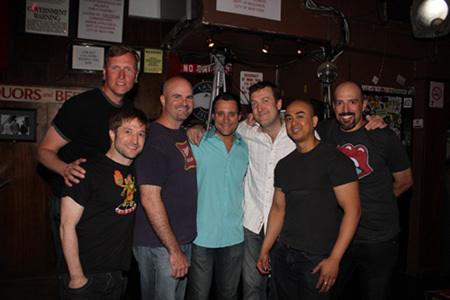 Founded in 1999 and recently described as "a rock band who left their guitars in the van," The Fonic has appeared at area clubs including Triad, The Elbow Room and The Bitter End. 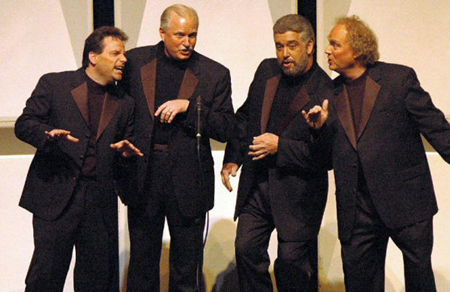 On the road, The Fonic has performed at The East Coast A Cappella Summit in Boston, MA and The Arlington A Cappella Festival in Arlington, VA.
Moondance is a barbershop quartet that has been singing together for a little over a year. Although classified as "barbershop," they sing many different styles of music. We love to sing songs we grew up with and therefore have a varied performance package ranging from Desperado by the Eagles to Queens' Bohemian Rhapsody. Award-winning a cappella sensation Mystery Date sings to entertain and inspire. This gay male a cappella group has roots as diverse as rock and roll, classical music, musical theater, soul, and collegiate a cappella. They delight audiences with their jazzy sound and sweet, sassy ( and sometimes irreverent) stage presence. Their repertoire defies categorization, ranging from Spike Jones and Gershwin classics to the B52s and contemporary songwriters like Alanis Morrisette and Desiree. They have performed nationwide sharing stages with a cappella legends “The Bobs”, Sweet Honey and the Rock’s Y’saye Barnwell, Lea DeLaria, The Persuasions, Kate Clinton, and Naturally Seven, among others. From New York cabarets and concert halls to theaters and arenas across the country, their performances are fueled with uncompromising musicianship, explosive energy and offbeat humor. 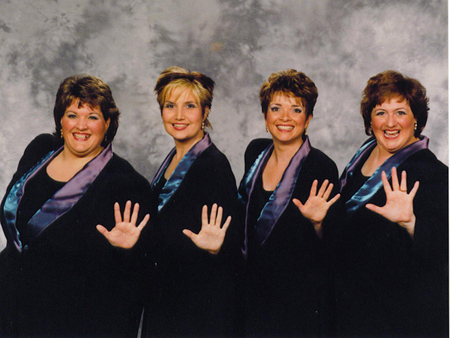 NexTime is a mixed quartet comprised of two female Sweet Adeline members and two male SPEBSQSA members. NexTime has had the pleasure of singing at several Minor League Baseball Stadiums around the country. They are also very popular on Valentine 's Day with their Singing Telegrams. They are proud of their newest trophy for the Funniest Quartet at the Bolton Landing Barbershop Celebration; as well as taking 6th place overall out of 60 mixed quartets! Infectious grooves, stunning arrangements, and electrifying solos are just some of the phrases used to describe Seattle based vocal group Groove For Thought. 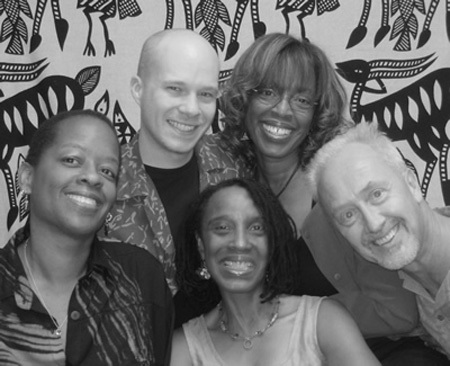 Since 1998, GFT has brought their unique brand of jazz and R&B infused tunes to festival, concert, school, and nightclub audiences throughout the United States and abroad. The Akafellas hail from Olympia, Washington and have been a group for over five years. This six-member male a cappella group sings several styles of music from Doo-Wop to Barbershop to Pop and everything in between, including Country and Comedy. They describe their performances as "unique" because of "our own warped brand of humor." The group's self-titled CD was recently released. Backbeat is Harmonious Funk and covers Motown, Classic Rock, Disco, Soul, R&B, 80's Wave, 90's Rock and Millennium Hits. This six-member ensemble (4 men, 2 women) enjoys bringing their unique sound to nostalgic music to make it fresh and exciting. Each member has individual experiences and strengths which range from composing Indie Rock tunes to training in African music and from performances in musical theater to creating a wide repertoire in vocal percussion. When they put their voices together, the results are a musical feast. Mockingbird is comprised of three women who are good friends who have brought their musical interests and diversity together to form a blend of a cappella harmonies. They have been making music together for seven years and sing a wide variety of songs, including several originals. They have released two CDs, "Drenched" and "Magic Everywhere," and have plans for a third. A recent review of "Drenched" in Victory Review stated, "These women are obviously having fun. You can hear their warmth and friendship. What a delightful album they've created." The Righteous Mothers are four women who have performed together for over 20 years, while raising seven children and having dual careers as a high school teacher, professors, a children's book author and a lawyer. This feminist, folk-rock group pride themselves on songs surrounded by warm sentiments and mind-bending tales and on fearless displays on wit, drama, and choreography. Each performance is a celebration of the human spirit, warts (and courage) and all. Slugger Jones combines four distinct voices and musical backgrounds to create a new and unique show for every audience. 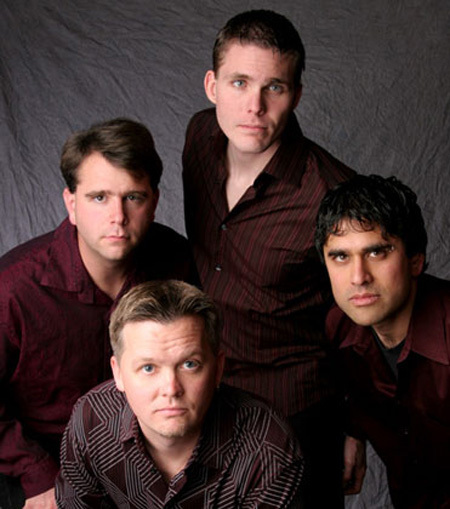 Infusing elements of Jazz, Funk, Rock, and Classical into their original arrangements, these four men perform their energetic style of music around Western Washington. With members coming from such groups as Kickshaw, Soundsation, Seattle's VocalPoint!, and Rapid Pulse, their wealth of experience is visible in both their unique arrangements and obvious joy of performing. True that it is rare to find such a talent like this among five brothers. A brotherhood that is sure to inspire, motivate and entertain anyone. The Standards - Music for everyone. 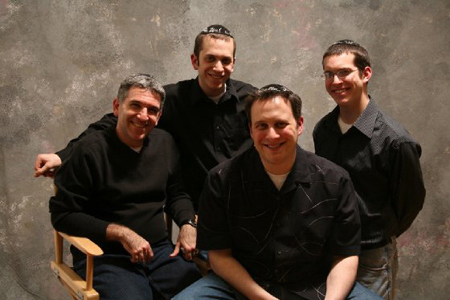 The human voice, that's how it all started for five brothers who shared a passion for music. Singing together at an early age, they began the makings of this one of a kind vocal group, forging a relationship beyond brotherhood and taking harmony to perfection. Today, they are known as The Standards.The Standards have taken vocal music to a new dimension by creating their own unique style of music with an infectious harmony that speaks to all generations and cultures of music lovers. Unplugged...the name says it all! These four talented women wow audiences with their distinctive sound, dynamic expression and delightful comedy. 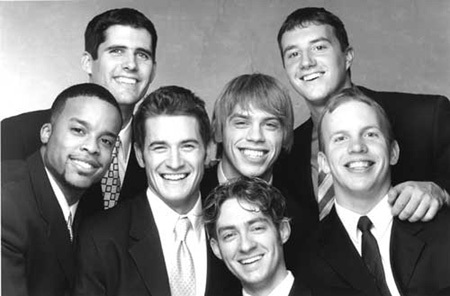 They came together from a variety of award-winning ensembles to form Unplugged in January 2001, and went straight to the top of the a cappella/barbershop scene in the Pacific Northwest. 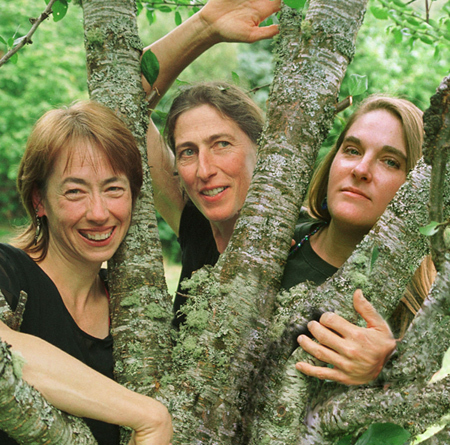 Teresa, Julie and Anna live in the Seattle/Tacoma area and Judy hails from Vancouver, BC, making Unplugged truly an international experience of harmony. An eight-hour round-trip drive is just a normal part of rehearsals. The quartet hails from Colorado Springs, Colorado.The Saturday Evening Post are proud members of the Southwest District (District of Champions) with Allen, Johnny and Bobby being members of the Town North Plano Chapter and Brian being a member of the Dallas Vocal Majority. They also are the music team for the Colorado Springs Chapter of the Barbershop Harmony Society. The quartet is currently ranked as one of the top 10 in the World of Barbershop having finished 9th in the 2002 International Competition held in Portland, Oregon. Allen Gasper, a former professional opera singer with Masters degree in Voice is the Lead singer. Allen is a renowned attorney in the Colorado Springs area, although we don't hold that against him. He is a certified "Singing" Category Judge and is a member of the Plano, Texas and Colorado Springs, Co. Chapter. Allen is the quartet's only bonafide "Cajun". Members: Allen Gasper, Scott Delude, Brian Beck, Bobby Gray, Jr. Hailed by critics as "a high-energy vocal phenomenon that'll simply knock your socks off!" (JazzBeat), measureXmeasure (measure by measure) is an a cappella sensation that proves the human voice is indeed the most versatile of all instruments. Despite what the listeners' ears may tell them, mXm uses no drum machines, synthesizers, pre-recorded material or instruments of any kind. Every sound - whether it be soaring five-part vocal harmonies, jaw-dropping vocal bass, or astonishing beat-box vocal percussion - is produced live by the voices of these five young men. Originally formed in the mid-1990's as a student group at the University of Kansas, the Kansas City-based quintet now travels coast-to-coast year-round headlining concerts halls, festivals and college campuses everywhere. Eclipse is a vocal group of six creating explosive sound, driving rhythms, and lush harmonies using only one instrument: the human mouth. 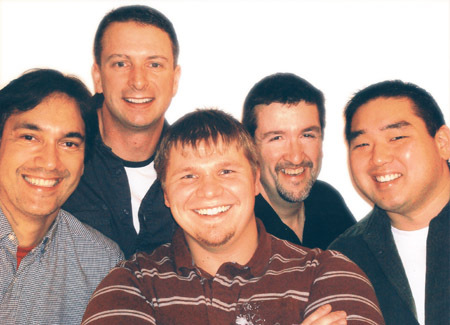 The six members of Eclipse originally met while performing in a public relations /ambassador-oriented group that was part of the department of Programs and Entertainment at Utah State University. They began by arranging their own vocal covers of popular songs and performing them on campus and in the Logan area. Increasing public interest and performance opportunities led to the recording of their first album, "Once," which was released in April 2001. 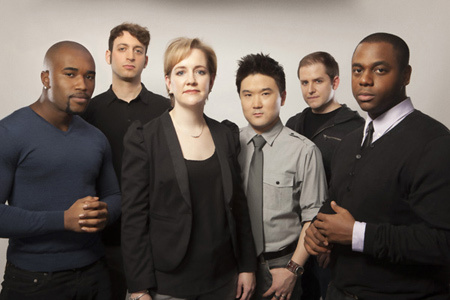 Groove Society, formed by Bianca Herbert & Joe Herbert, is an award winning vocal jazz sextet that is among the top rising stars on the world a cappella scene. 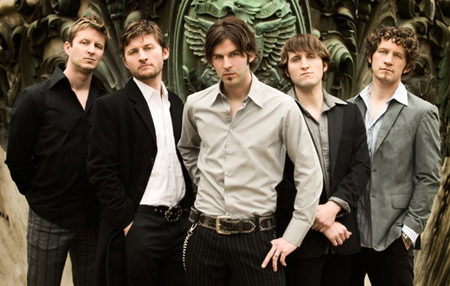 In 2006, the group was named "Vocal Group of the Year" by the JPF International Music Awards, as well as being honored for "Best A Cappella Album", and "Best A Cappella Song". And in 2007, Groove Society received the prestigious "IAJE Award for Outstanding Service to Jazz Education" at the International Association for Jazz Education convention in New York City. With the release of their critically acclaimed debut CD, Groove Society is receiving airplay on major-market jazz and NPR stations from coast to coast and around the world. They have appeared at international jazz festivals across the Mainland U.S., Hawaii, and Canada, sharing the billing with, and/or opening for top artists including Bonnie Raitt, Herbie Hancock, Bobby McFerrin, The Neville Brothers, Eddie Palmieri, Paquito D'Rivera, Freddy Cole, Patty Austin, The Rippingtons, Bobby Hutcherson, Jimmy Heath, The Dirty Dozen Brass Band, Dr. John, The Bad Plus, Paul Taylor, Nelson Rangell, Soulive, Styx, and many more! Good Company is a seven-member vocal group based out of Midland, Michigan. They began singing together in 1999. Their repertoire covers classical to jazz with an emphasis on contemporary vocal harmonies and blends; Good Company is under the direction of Jim Hohmeyer. They have performed with Steve Zegree's Jazz Quartet from Western Michigan University and opened for the well-known Michigan Comedy Ensemble "Three Men and a Tenor", Kirby Shaw's vocal group "Just 4 Kicks", the fabulous "Four Freshmen" and for Doc Severinson and his big band on the MCFTA stage. 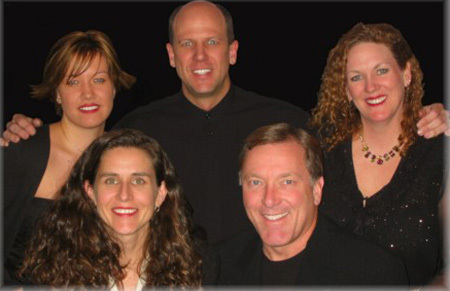 In 2004, they were one of three vocal jazz groups invited to perform in Los Angeles for the ACDA National Conference. Energetic and fun, SurrounSound performs a blend of upbeat pop, R & B and funk with tight harmonies and driving percussion. 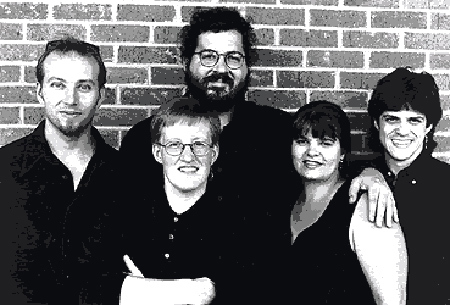 SurrounSound was formed by five people who sang together in high school, and their mom (as she is known to a majority of the band.) Passionate about vocal music, this ensemble incorporates the sultry and sweet, the rowdy and raucous into harmonious contemporary a cappella.